New York Times best seller in hardcover. Armed forces veteran and seven-time New York Times best-selling author John Ringo delivers the third entry in his blockbuster Troy Rising SF series. Humanity fights back against a devastating Trojan-horse-like alien invasion of Earth and takes the fight to the stars by creating a vast battlestation as large as a planet. 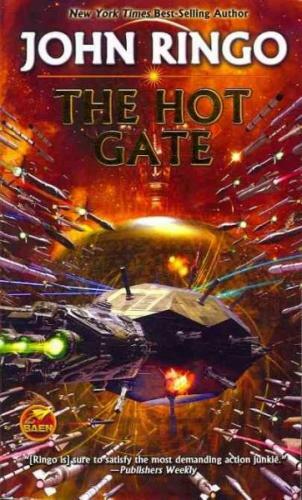 The third entry in the best-selling Troy Rising saga and follow-up to blockbuster Citadel from multiple New York Times and USA Today bestseller and military SF master, John Ringo. When the orbital gates first materialized in the outer Solar System, all seemed well, but a devastating invasion ensued. Now humans have battled back from the conquest by a tyrannical alien species to become a force to reckon with in the galaxy. On a crash-building course, humanity has created a near-impregnable battlestation of Deathstar proportions to prove it. But the enemy is remorseless and to survive humans must take the fight to the heart of their empire and prevail–a feat no previous species has ever accomplished. Instead, the bones and burnt hulks of those who have tried litter the star-ways. But these galactic imperialists have never contended with humans, a foe who is their match in sheer ferocity and desire to win. Multiple USA Today and New York Times best-seller John Ringo is the creator of the landmark Posleen Wars military science fiction series which includes blockbuster When the Devil Dances, stand-alone near-future technothriller The Last Centurion, the Ghost military action-adventure novels, and two previous novels in the Troy Rising series. Ringo is also the co-author of several series including the popular Prince Roger SF saga with David Weber. A veteran of the U.S. Army 82nd Airborne, Ringo brings first-hand knowledge of military operations to his fiction.